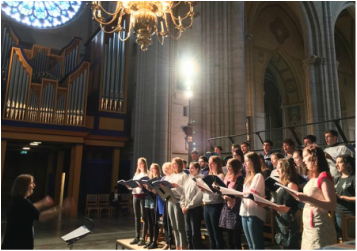 Chapel Choir sing either a service or a concert every Tuesday at 6pm GMT in the University Memorial Chapel during semesters 1 and 2. You can catch these on the chapel webcam. See the calendar on our home page for full details. Click the image above to download PDF of Chapel Choir events. Click the image above to download PDF of Music in the University events. 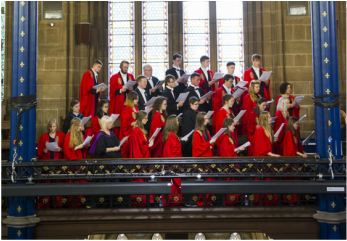 The Chapel Choir sings for services in the University Memorial Chapel on some Tuesdays and Sundays. The choir also visits other establishments in Glasgow and further afield throughout the year. Our regular Tuesday evening concert series takes place in the Memorial Chapel. These free, short concerts offer a varied repertoire of secular and sacred music. The choir perform regularly outwith the university. 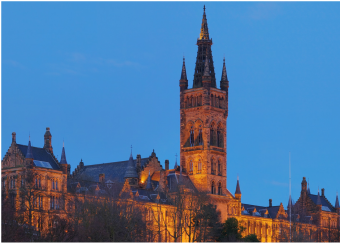 Recent performances include events for Cottiers Chamber Project, the West End Festival, Edinburgh International Festival, Celtic Connections and international tours to Sweden, Amsterdam, Italy and Lancaster.